Sun TV is the dominant Tamil TV Channel that is entertaining the Tamil audience all over the world for years. The channel which was established by Kalanidhi Maran in 1992 provided Tamil content to the Tamil audience for over 3 decades. It holds the record for being on the top of the TRP charts for many years with its dramatically creative, entertaining, and ever-changing content. The channel is available as Sun TV Live overseas in many countries through YuppTV. Sun TV is the home for some of the most popular longest running serials in Tamil like Kasthuri, Vaani Rani, Valli, Thirumatha Selvam, Mundhanai Mudichu, etc. Chithi, Marmadesam, Metti Oli, Kolangal, Nadhaswaram, Deivamagal are among the popular creations of Sun TV and have been loved by the Tamil audience of two generations. Currently, high rated shows like Nandini, Naayagi, Azhagu, Kuladeivam, Vani Rani etc. are running on the channel. The channel features not just TV serials and movies but it also caters to the elderly population providing news twice a day, and Spiritual programs in the morning. It also airs a comedy show called comedy junction which is pretty popular among all kinds of Tamil audience living around the world. Sun TV and many other popular Tamil TV Channels Live can be watched from anywhere in the world through YuppTV App on Smart Televisions, Smartphones, Tablets and on streaming players like ROKU. 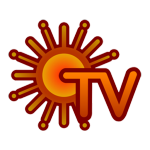 Sun TV Live can also be streamed on YuppTV Website from Laptops/ Computers or Mobile Web Browsers.